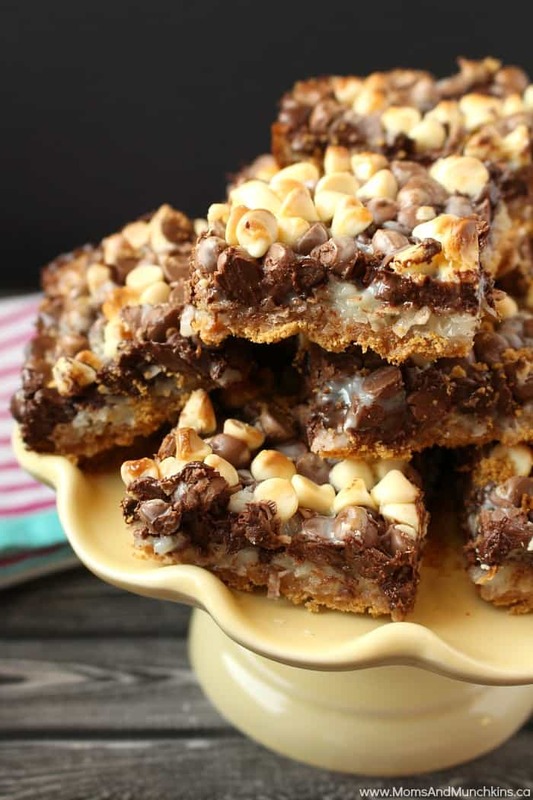 Have a bake sale coming up and need recipe ideas? Maybe your annual block party is quickly approaching and you’re looking for a new treat to serve. Perhaps you’re just hungry and in need of a tasty midnight snack. 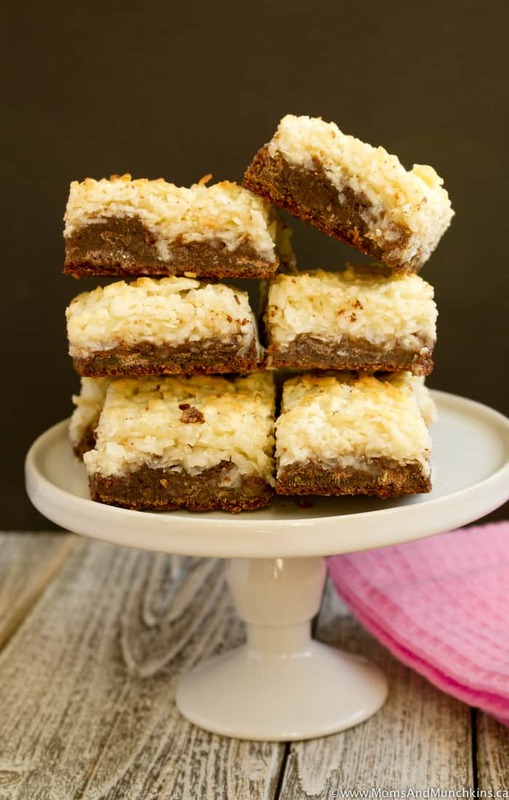 Well, here’s your solution – Chocolate Macaroon Cookie Bars! 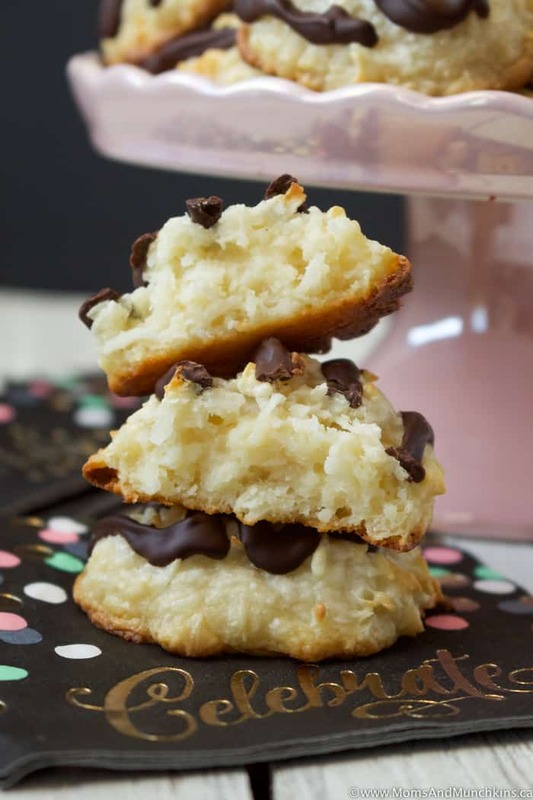 It’s the perfect combination of a thick chocolate cookie with a chewy coconut topping. It all starts with a cookie mix so it’s quite easy to put together. You will need to let it cool for a couple of hours before slicing into squares though so if you’re looking for a midnight snack, it’s time to start baking! For the cookie base, I was looking for the Betty Crocker DOUBLE Chocolate Chunk Cookie Mix. After searching several stores, I just gave up and improvised with a Betty Crocker Chocolate Chunk Cookie Mix and added in 1/4 cup unsweetened cocoa powder. Just as tasty as the double chocolate cookie mix, I’m sure. If you use the Betty Crocker DOUBLE Chocolate Chunk Cookie Mix (instead of the Chocolate Chunk Cookie Mix noted in this recipe), then you can omit the ¼ cup unsweetened cocoa powder. Line a 9" x 9" square baking pan with parchment paper. In a medium bowl, prepare cookie dough as directed on the Betty Crocker package. Spread cookie dough evenly in the parchment paper lined pan. Bake cookie for 15 minutes. In a separate bowl, combine coconut, condensed milk and vanilla. Stir until well combined. Spread coconut mixture evenly over baked cookie. Reduce heat to 350F and bake for an additional 15 minutes. 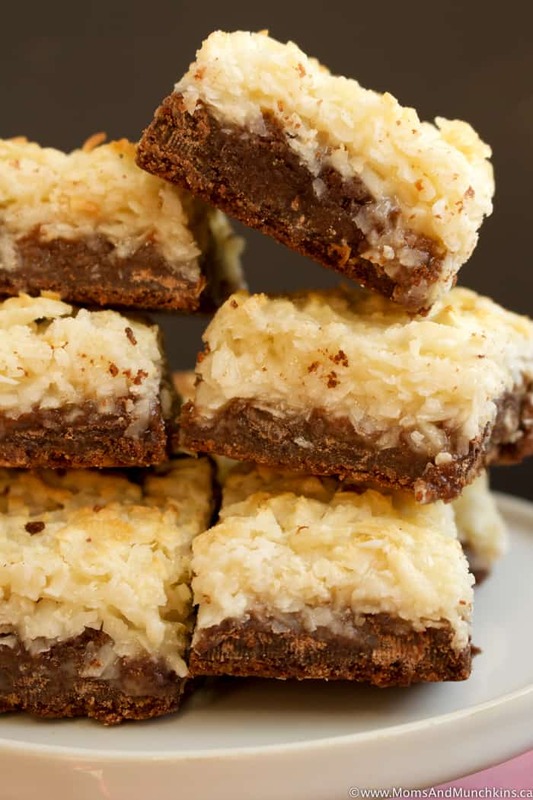 Love chocolate & coconut desserts? Check out some of our other favorites! Coconut Macaroons – super simple to make and baked in just 15 minutes! 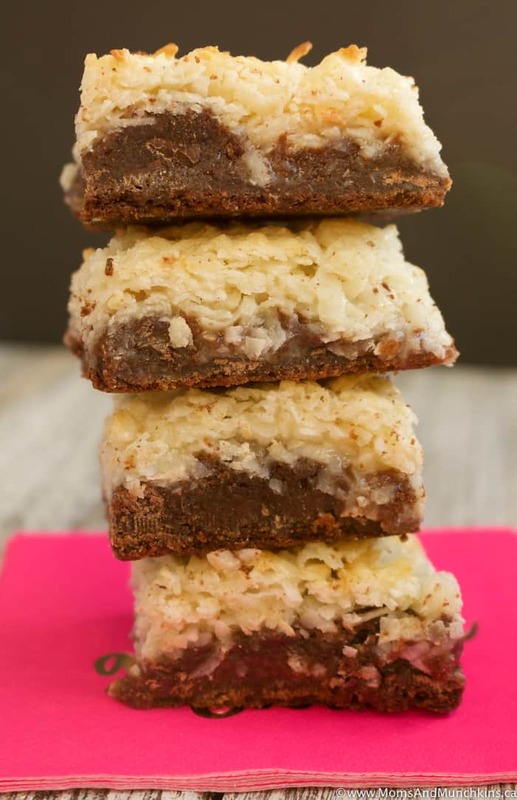 Triple Chocolate Coconut Bars – barely any mixing involved here! You’ll find more tasty ideas on our Recipes page. Stay updated on the latest home entertaining ideas by following us on Facebook, Twitter, Instagram and Pinterest.